· Did you receive a wrong, defective or wrong item? 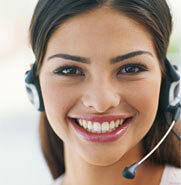 · Do you have any questions or problems with the processing of complaints? Business-Customers: Don"t forget the tax number! Please also refer to points 3,4 and 11 of our Terms and Conditions. For returns, please use exclusively our return form. If you lost it, we will send you a new one. "Niederschrift über eine beschädigte Frachtpostsendung"